Alan Ladd - Photograph 1944 - Gift to the Museum from Gary Fredburg 2011. (click on image to enlarge) Library of San Fernando Valley Entertainment Industry History. 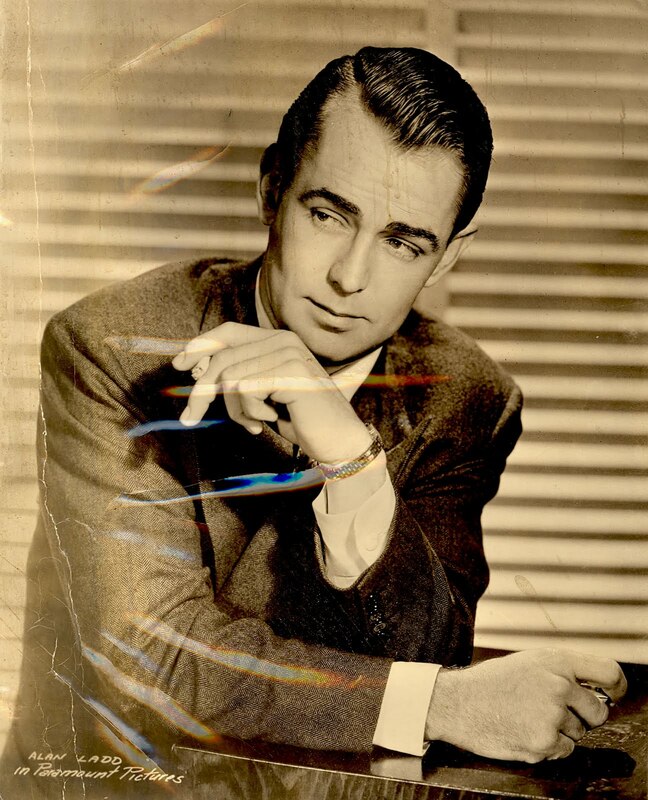 This wrinkled, but otherwise good image of the North Hollywood actor, Alan Ladd was a gift to The Museum of the San Fernando Valley from Gary Fredburg at the Centennial of Van Nuys festival this last Friday. This publicity photograph was taken for Paramount Pictures in 1944. Awaiting archival preparation, the picture was not subjected to pressure, resulting in the light colors across the image.